As retailers across the land attempt to convince us that they are reluctantly just satisfying the huge demand for Christmas sections in summer, a new survey has revealed the must-have new educational toys that will be available this year. The survey, which all children taking the survey said should be “like really totally reported in next weekend’s Sunday papers”, was conducted by the children’s education specialist website, “buytoys4kids.com”. It asked all visitors under 15 to rate the likely Christmas best sellers in terms of their educational value. 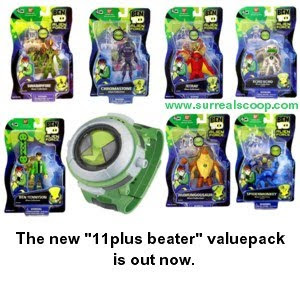 Professor Billingsworth, hired to help newspaper Journalists, who may suffer from being Humanities graduates, fully understand the scientific background of the survey, said that in fact Ben 10 was by far and away the leading educational toy for years. buytoys4kids.com celebrated the results of the survey by offering an Animal Welfare pack that includes the “My Little Pony Show Stable” for all purchases over £50. the food is great, although there is absolutely "no atmosphere." then "it's an electrical problem."